At 21, life is usually filled with exams, a first job, or even a small amount of uncertainty as to what you want to do in life... Porter Robinson however, has broken the mold completely. Having already featured twice in the Billboard 21 Under 21, where he ranked ahead of the likes of Miley Cyrus and Cher Lloyd, you begin to quickly see that Porter is no ordinary talent.Growing up in the sleepy town of Chapel Hill, North Carolina, Porter began producing music at the tender age of 13, having caught the bug from Dance Dance Revolution.Fast forward several years later, and releases such as “Say My Name” were quickly attracting attention from all the right places. His very first EP, “Spitfire”, was quickly signed by Skrillex as the first release for his new OWSLA label. Upon release, the EP crashed Beatport’s servers and headed straight for #1 in the charts where it remained for weeks.T his was all done in between remixes for the likes of Avicii and Lady Gaga... all in the same year he celebrated his 18th birthday.From here on, it was full steam ahead. Picking up support slots on tours with Skrillex and then on Tiësto’s infamous College Invasion tour, people began to take note of Porter’s unique style of mixing and the insane energy he showed behind the decks. 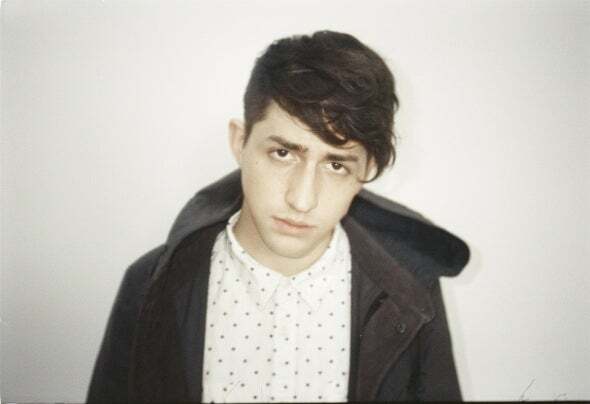 In addition to these colossal artist tours, Porter also made his way onto the stages of Electric Daisy Carnival, Ultra Music Festival and Electric Zoo; as well as landing himself in the DJ Mag Top 100.2012 saw him shift into even higher gear, growing swiftly into a headline act capable of hosting any event all on his own. Porter also tackled Coachella, Tomorrowland, and Lollapalooza, as well as a residency with the revered XS, Surrender, and Encore Beach properties in Las Vegas.His next creation, “Language”, premiered on Radio 1 during Porter’s special live Essential Mix broadcast in January 2012 before going on to worldwide success, securing #1 on Beatport and a number of Top 10 chart positions around the world. The record has since gone on to sell over 250,000 copies, cementing Porter’s break into the big leagues.Porter began 2013 with the release of his much-acclaimed Mat Zo co-production “Easy”, which quickly reached #1 on both Beatport and HypeMachine, and gained traction across radio and charts globally. From here his sights are firmly set on his first full-length artist album, drawing on elements and influences across a wide range of genres. The debut outing will see Porter break all preconceptions and join the ranks of luminaries he’s admired his entire career.In addition to the music, his touring is continuing to go from strength to strength, where he recently appeared once more at Tomorrowland, as well as Wireless Festival, Creamfields, Fuji Rock and a trifecta of Electric Daisy Carnival appearances in Las Vegas, London, and New York.Set to accomplish more by the age of 21 than most achieve in a lifetime, Porter is unmistakably one of the most thrilling talents to be found anywhere in the world. Only he knows what’s next. We just know we can’t stop him.